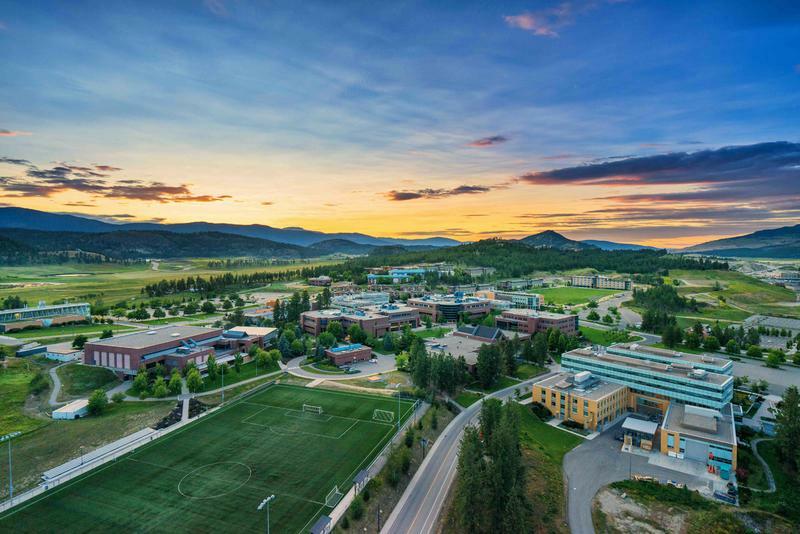 A former student at the Okanagan campus has filed a complaint against UBC with BC’s Human Rights Tribunal, alleging that the university mishandled her case after she reported a sexual assault. Stephanie Hale discovered that pursuing a human rights case was an option after she got in touch with Glynnis Kirchmeier, an alumna who filed a similar complaint in 2016 after she witnessed a UBC sexual assault case from 2015. Much of the manner in which UBC dealt with these cases — which Hale alleges as being wildly inappropriately in her case — stems from the lack of both policy and services that were in place at the time. Before legislation mandated the creation of stand-alone sexual assault policies at all post-secondary institutions in BC in 2016 and its year-long implementation timeline, almost all complaints were dealt with using a generic “non-academic misconduct” policy. UBC said that privacy legislation does not permit them to discuss individual cases. Since its implementation in May, the new Policy 131 applies to both the Vancouver and Okanagan campuses, and sets aside a completely separate investigative process for sexual assault. These investigations — as mandated by the policy — will be initiated by the “director of investigations,” who oversees both campuses to ensure consistency. They will then be conducted by externally contracted professionals, who are currently being hired. At the time of her complaint, Hale asked UBCO for a trained investigator to oversee the case — that request was denied. Another huge complaint from Hale is the discrepancy in resources between the two campuses: in her time at the Okanagan campus, she was simply directed to their general Health & Wellness Centre. She also joined the sexual assault awareness group on campus, but says that it is completely student-run. UBC Vancouver has had a Sexual Assault Support Centre operated and funded by the AMS since 2002. A large change with the new policy is the creation of the new Sexual Violence Prevention and Response Offices, which will centralize how sexual assault allegations are handled. Each campus will also now have a specialized office to hear disclosures and reports, support and accommodate survivors, as well as provide resources and information. They are expected to become “operational in mid-October” for the Vancouver campus, and “later this year” for the Okanagan campus. “While [the offices on each campus] may look different, they will fill the values and principles of the policy in the way that is most appropriate for that campus,” said UBC Associate Vice-President Equity and Inclusion Sara-Jane Finlay, who helped to write the new policy. Prior to the existence of these offices, complainants typically had to go through mutiple contact points, as in Hale’s case. She does, however, acknowledge her desire for a continued scrutiny upon how UBC handles these cases. Both women who filed human rights complaints agree that there is still work to be done — Kirchmeier wrote a series of 44 “solutions to ensure equality and safety at UBC” prior to the creation of Policy 131. Some, but not all, of those recommendations have seen realization within the new policy. “The tribunal have the ability to order the university to change its policy, which is my end goal,” said Hale. She mentioned that she has about “twenty small points” that she would like to see tweaked in the policy. One change that Hale would like to see made is the policy’s mandate that both complainant and respondent see the final report. According to Finlay, this decision was made to ensure fairness. Outside of policy issues, Hale hopes to see the general rhetoric towards instances of sexual assaults on university campuses change. “I think funding and supporting sexual assault awareness efforts on campus … would be really good for education and to open up more talks about it. It’s still seen as something very taboo on campuses, and I think the way to combat that is to expose it more,” she said. Currently, Hale has received the receipt of her human rights complaint’s submission, but is still waiting to hear back from the tribunal about its acceptance. UBC would be given a month to respond if her case is moving forward. Kirchmeier’s case with the BC Human Rights Tribunal is moving forward, and she is due to receive a response from UBC by October 17.